Follow our easy, step-by-step, photo illustrated recipe for making Mary’s Maine Bars. This recipe, from Dorie Greenspan, makes a chewy, gingerbread type of bar cookie that’s really quick and easy to make. 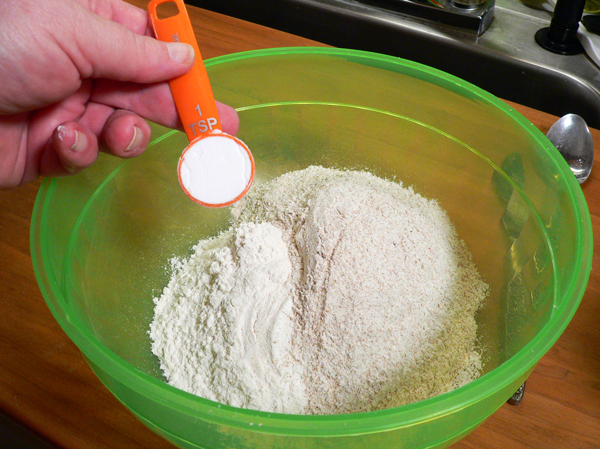 We’re working with OXO Good Grip tools and you’ll find a printable recipe included. 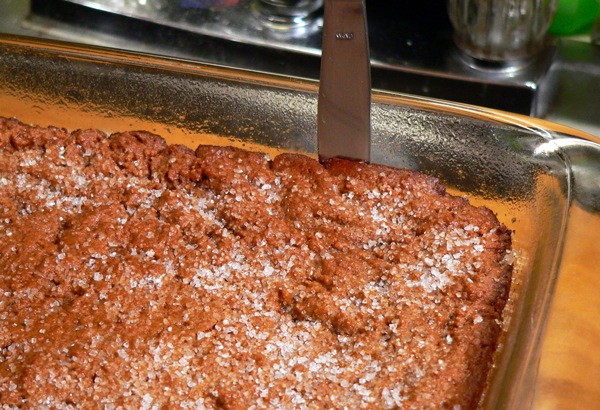 Mary’s Maine Bars, an award winning Dorie Greenspan recipe. Once again, I am delighted to be working with our good friends at OXO Kitchen Tools. I was contacted by them recently, to work with a very special project called Cookies for Kid’s Cancer which began back in 2007, to help raise funds for research in pediatric cancer, the #1 disease killer of kids in the United States. For this post, OXO will donate $100.00 to Cookies for Kids Cancer. They have also donated a couple of their great products to help me create this recipe, and I’ll share that with you further down in the post. I’ll show you step-by-step, how to make these “Mary’s Maine Bar” cookies by Dorie Greenspan, and tell you how they can now be called “Award Winning Cookies” as well. Keep reading. Even Dorie doesn’t know about this yet. While this isn’t one of my normal “old Southern favorite recipes,” it’s well worth sharing this recipe with you here on Taste of Southern. We’ll share some delicious gingerbread tasting bar cookies with you, and hopefully help fund some of the research that could save a lot of kids lives. How much more awesome could that be? 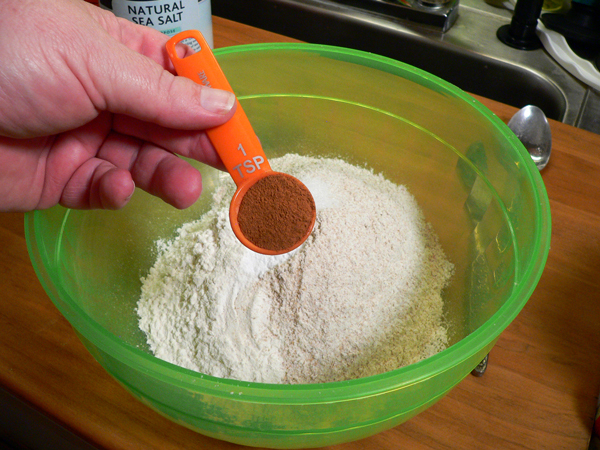 All comments regarding the OXO tools used in this post are mine. As a matter of full disclosure, I haven’t been financially compensated to prepare this recipe, but did receive the tools listed below. If you’re ready to bake up a batch of Mary’s Maine Bars, then lets get in the kitchen and… Let’s Get Cooking. 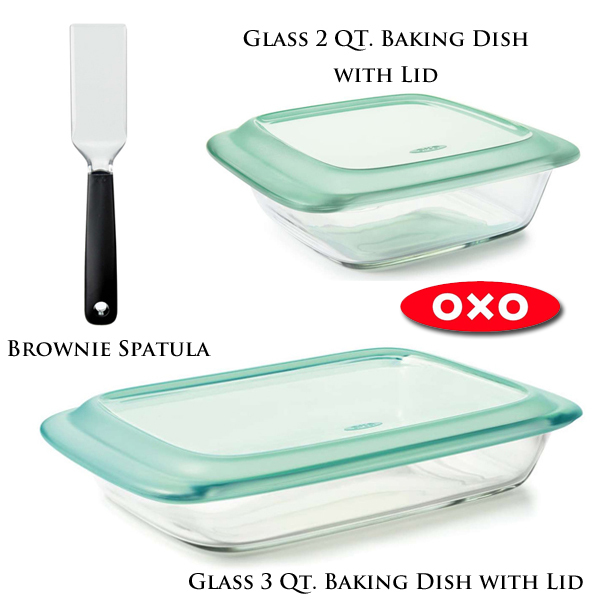 OXO provided me with these baking dishes, and the spatula. 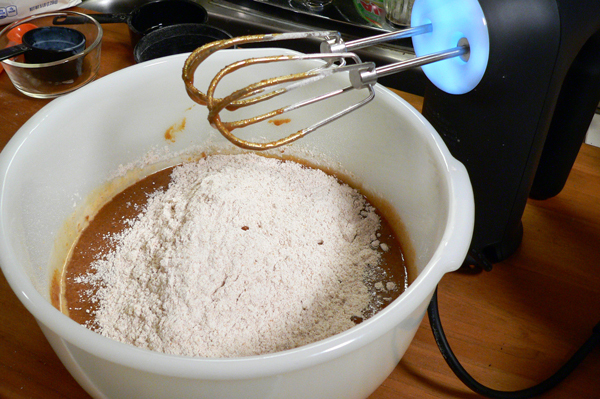 I’ll also be using my OXO Illuminated Hand Mixer that was provided by OXO in regards to another past post. The recipe is courtesy of the Dorie Greenspan “Dories Cookies” cookbook. Click the photo above for more information about Dorie and her books. I’ve baked two batches of these cookies thus far. Part of the first batch was entered into our local Regional Fair since the fair was taking entries on the same day that I made them. Since I often enter many of my home canned goods, I couldn’t resist entering them into the fair to see what might happen. I was happy to learn they did win a prize. How cool is that? Now, let’s see how to make them. Ready? Mary’s Maine Bars recipe, you’ll need these ingredients. 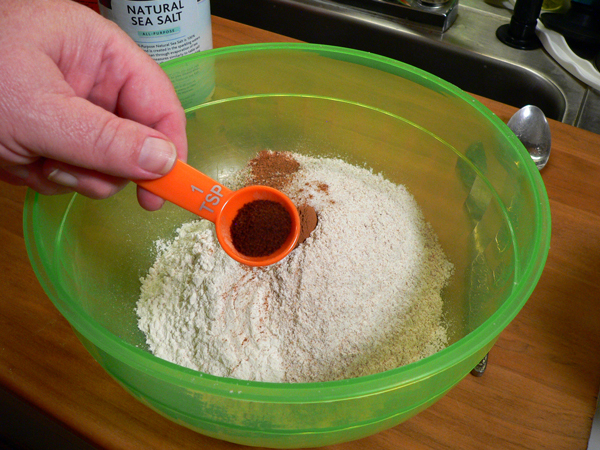 Grab a large bowl to mix the dry ingredients in. You’ll only need two bowls total to make these. 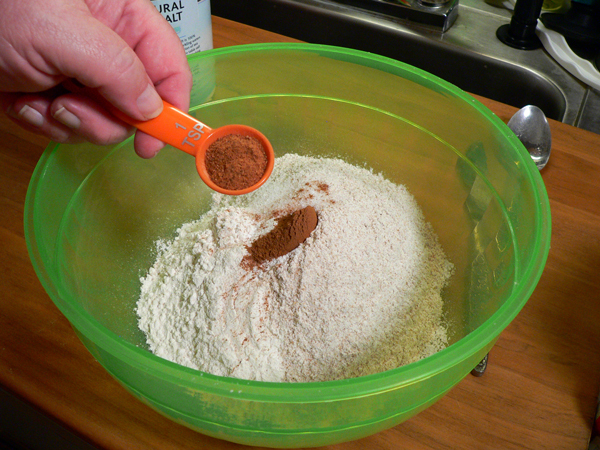 Begin by adding the All-Purpose Flour first. Dorie gives the weights for these in her recipe. I did weigh out the ingredients for this recipe, but if you don’t have kitchen scales, you can measure it out in cups as given in the recipe as well. I’m not sure why the recipe calls for Sea Salt as opposed to regular table salt. Thankfully, I try to keep some on hand at all times. The recipe called for “freshly grated Nutmeg,” which I did NOT have. I substituted Ground Nutmeg instead. Whisk the dry ingredients together, then set this aside. WAIT… where’s the Ginger? Surprisingly, even those these bars taste like Gingerbread, there ISN’T any Ginger in the recipe at all. Mix it all up really good. Isn’t that a pretty glass dish? OXO is well known for making quality products. Their line of Good Grip tools is great, with larger, easier to hold handles on many of them… for us older folks. The new Glass Baking Dishes, have large, easy to hold handles also. The dishes are made from BPA-free borosilicate glass. I had to look that up, but basically, it makes them resistant to thermal shock. This means, they can easily travel from the freezer to the oven, and then to the table. How easy is that? No more wrapping the dish with aluminum foil or fighting with plastic wrap either. These dishes have sloshproof lids which make moving your dishes super simple whether its just around the kitchen, or over to Grandma’s house. You’ll certainly notice the “heft” of these dishes, which lets you quickly know you’re holding another quality OXO product. 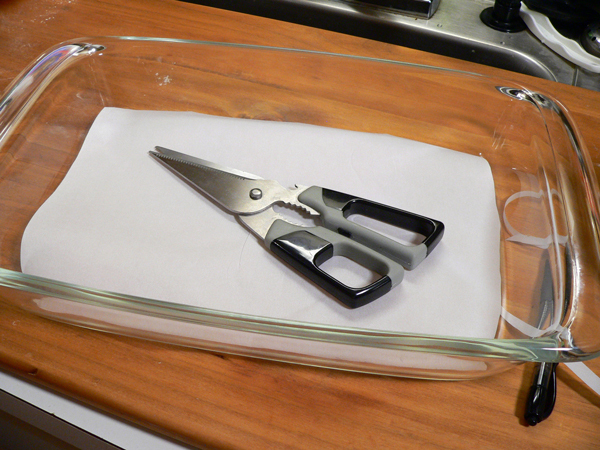 You’ll want to cut a piece of parchment paper to fit inside the dish. I did this by sitting the dish on top of the paper, then drawing around the bottom. Then, I cut INSIDE the line I just drew, to make the paper fit easily inside. I used a baking spray to grease the inside of the dish. You could certainly use butter or cooking oil, but I’ve become a fan of spraying my pans lately. Choice is yours. Coat the bottom and up the sides. Position the parchment paper on the bottom inside the dish. The oil will help hold it in place. Parchment paper likes to curl and can sometimes be a little difficult to work with. Just be patient when using it. 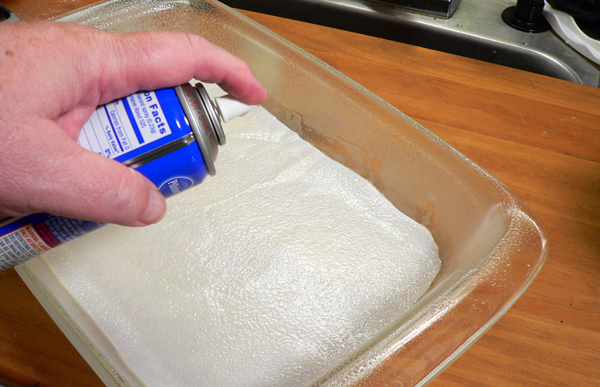 Then, I sprayed another light coat of the cooking spray on top of the parchment paper. Set this aside for now. 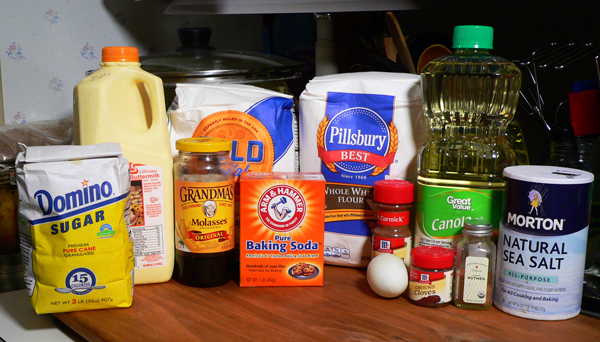 It’s time to mix the wet ingredients together. Grab a large mixing bowl and your mixer. 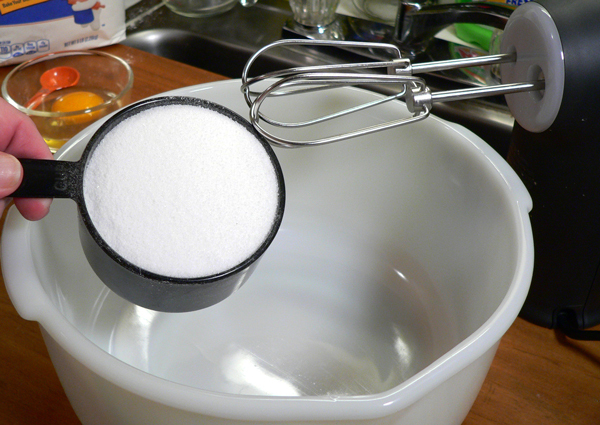 Add the sugar to the mixing bowl. 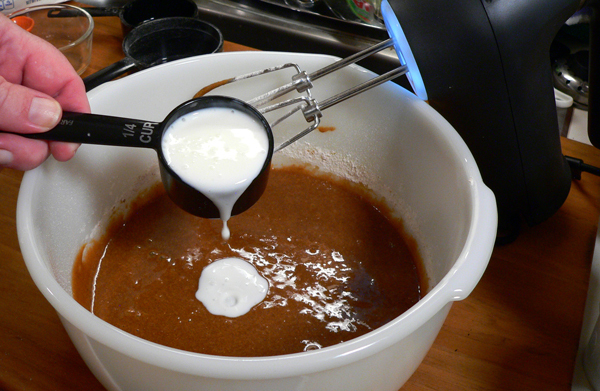 I’m using my OXO Illuminating Digital Hand Mixer as pictured above. That’s right, it’s got a light on it to help you see inside the mixing bowl. Add the flavorless oil. I’m using Canola oil as suggested in the recipe. DORIE QUICK TIP: Dorie makes a great suggestion in her cookbook that I sometimes forget. 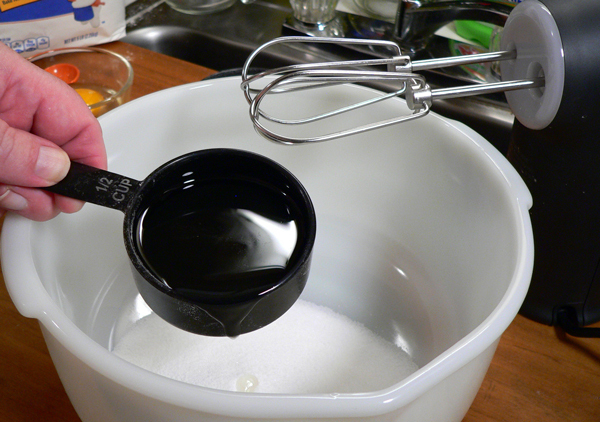 Anytime you’re working with something sticky like molasses or honey, add some oil to your measuring cup first. That’s why we added the oil first in this recipe. 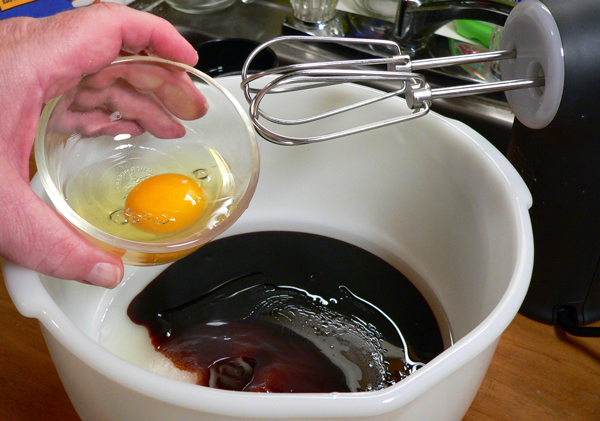 After you get a coating of oil inside your measuring cup, then you add the molasses. You’ll be amazed at how completely it pours out of the cup without sticking all to the insides. Clean up is super quick and easy when you do this. Try it yourself and see. Add the egg. I always suggest you break an egg into a smaller dish as opposed to directly into the mixing bowl. That way, if you have any shell that falls in, you can remove it easier. 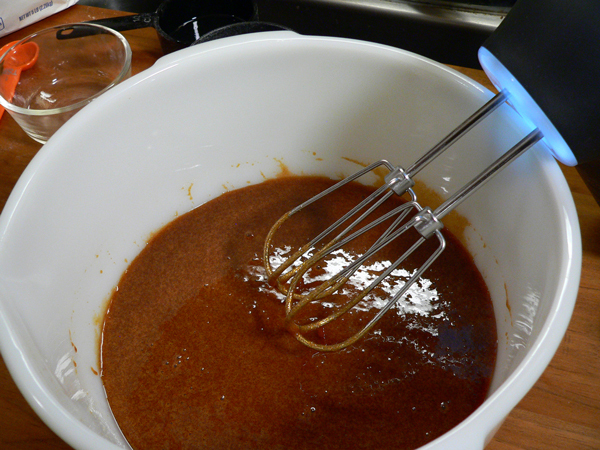 Using a low speed, gently mix the wet ingredients just until they are combined together. Can you see the light on my mixer? It doesn’t show up well here, but it’s a great light for seeing what’s going on inside the bowl. Really helps when you don’t have a lot of under cabinet lights in your kitchen… like me. Just saying. 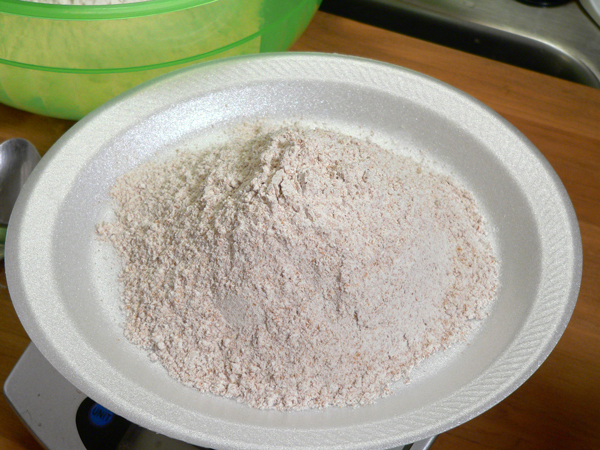 Add HALF of the dry ingredients into the wet ingredients. Pulse this a time or two to begin mixing everything together. 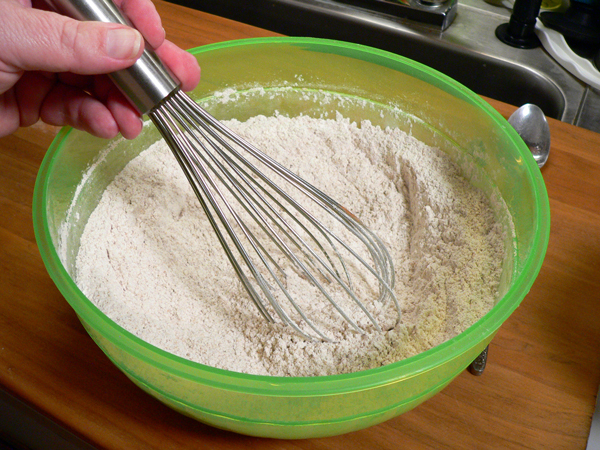 Mix this on low speed just until the flour disappears into the mix. 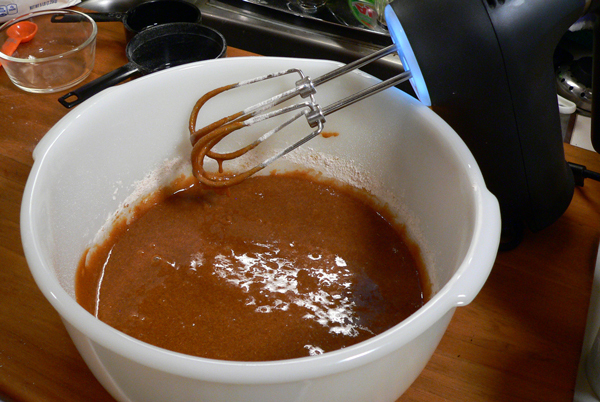 The OXO Digital mixer has easy to use controls right on the handle. Mix the buttermilk just until it disappears into the mix. Can you see how easily the mixer sits up on my counter top? It’s cord also wraps around the base portion for easy storage. The cord also can flip from the left to the right side or vice-versa, depending on what you need where. 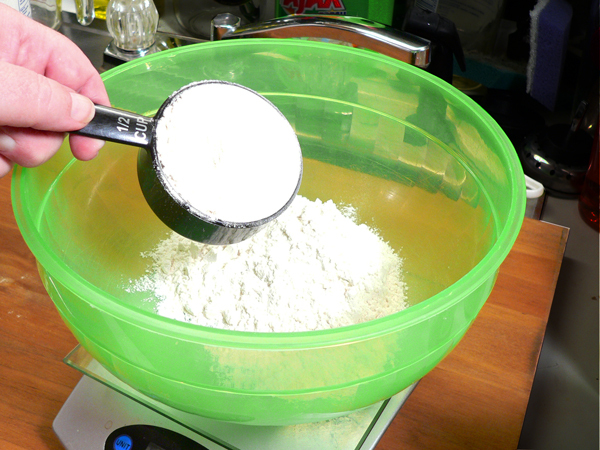 Add the remaining dry ingredients to the bowl. 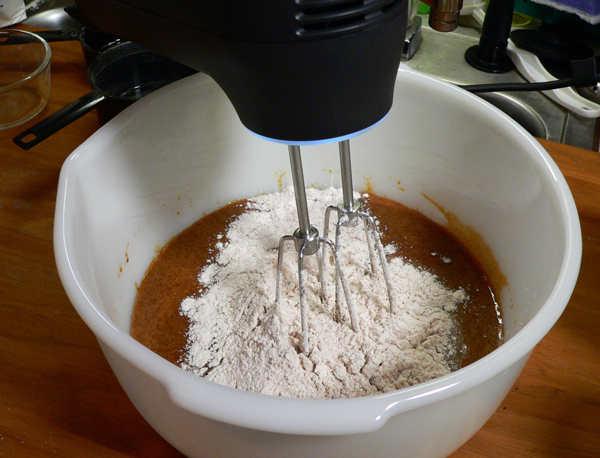 Mix on low speed to combine, just until the flour disappears. 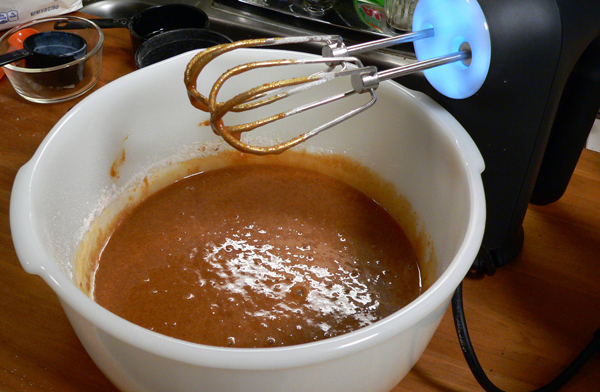 This is where the OXO Illuminating Digital Hand Mixer really shines. You can see how thick this batter is, but the OXO mixer handles it super easily. The speed will adjust depending on the load placed on the beater bars at the time. This keeps the speed constant, when mixing your batters together. Okay, all those splotches of batter around the inside of the bowl is what happens when you speed up the mixer while removing the beaters from the batter. It’s my way of cleaning off the beaters, but it can quickly throw batter around inside, and sometimes OUTSIDE of the bowl. Proceed with caution. You can thank me later. 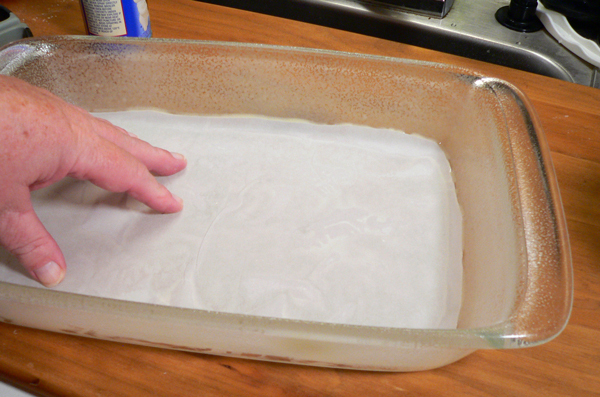 Place the batter inside your 9×13 baking dish. Dorie Greenspan refers to this as dough instead of batter. As you can see, it’s pretty thick. 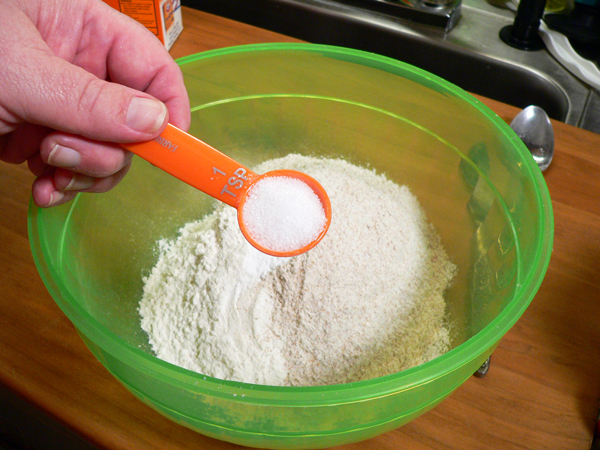 Use an offset spatula to work the dough into the corners of the dish. The dough wanted to slide around inside because it was sitting on top of the parchment paper. I had to use my fingers to hold the paper at one end while spreading the dough into the corners. Sprinkle the top of the dough with some sugar. Regular granulated sugar will work. 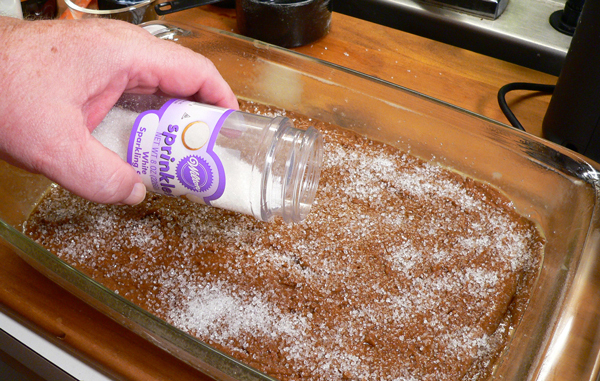 I just happened to have this larger grained sprinkle sugar on hand so I used that. Place the dish on the middle rack in your oven. The oven should be pre-heated to 350F degrees. The bars will need to bake for abut 25-30 minutes total, but you need to rotate the pan after about 15 minutes to insure even baking. Remember, oven temps vary, so watch it carefully. 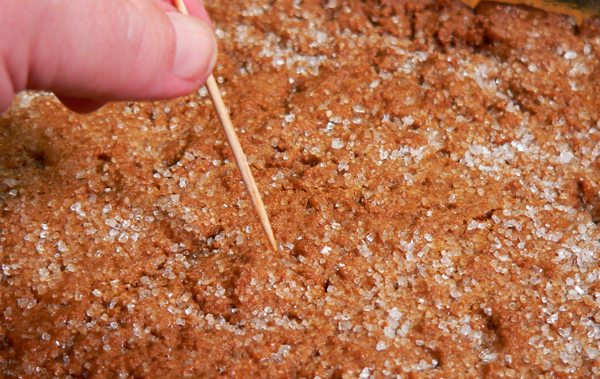 When you start smelling the goodness of your baking, insert a toothpick into the dough to see if it’s done. If the toothpick pulls out clean, it’s done. If it has a few crumbs sticking to it, let it bake another minute or two longer. You can also look at the edges and see if it’s started to pull away from the edge of the dish. When it’s done, remove the cookie from the oven and place the dish on a wire rack to cool for 10 minutes. After it’s cooled for 10 minutes, run a butter knife around the inside edges of the baking dish to loosen the cookie bar from the dish. The lid is shown upside down in this photo. Perhaps you can see the raised portion of the lid, which would normally be up instead of like this. The height of the lid makes it easy to cover the top of whatever is in your baking dish without worry of messing up meringue, frosting, or whatever topping you might have on your food item. I thought it would work just perfect to help flip the cookie out of the dish. Since I didn’t have a rack that would cover the size of this dish, I was afraid the cookie bar would break when I tried to flip it out again to cool on the rack. Flipping the plastic lid over, it fit down inside the dish, and rested on top of the cookie itself. 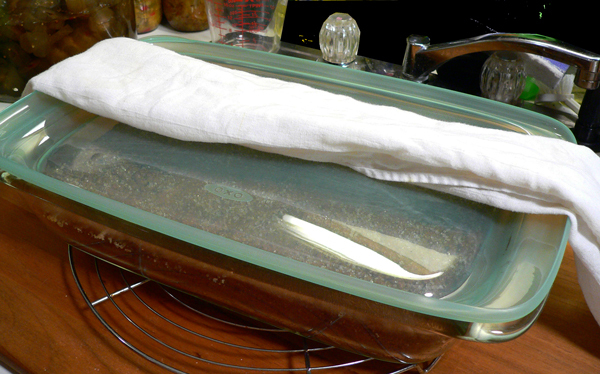 Then, I used a folded tea towel to hold the lid and baking dish together. The glass dish was still hot, so I used the tea towel as a pot holder. See how the lid slipped inside. It’s going to keep the cookie from breaking while I flip it over. I held the lid and dish together with the tea towel, and flipped it over. 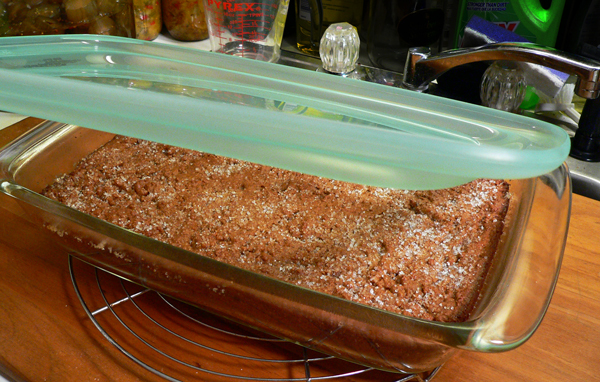 The whole cookie bar slipped easily out of the baking dish. I didn’t even have to remove the parchment paper, it stayed inside the baking dish. I used the wire rack above to once again flip the cookie. The bar needs to cool on a wire rack until ready to cut. The OXO Brownie Spatula came in handy when cutting and moving the bars. If you’re making brownies, sheet cake, or perhaps lasagna in the dish, you can use the end of the Brownie Spatula as a knife to cut then scoop them out with the spatula itself. 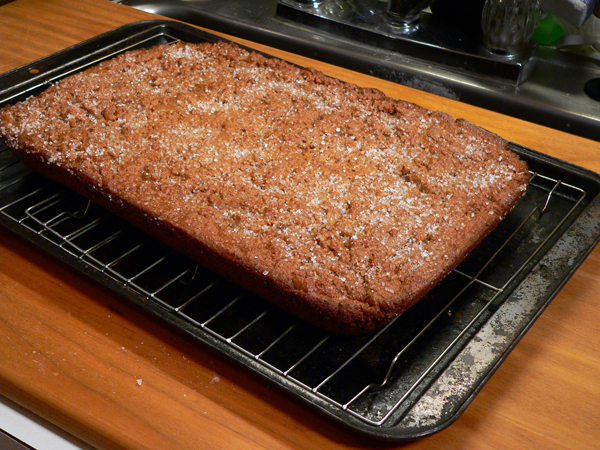 Since the entire cookie bar is removed from the baking dish to cool, I cut it into bars on my cutting board. Any leftover bars can easily be stored in the 3-Qt., or the 2-Qt. baking dish, using the lid to keep them sealed and secured. Here are the links for the 2-Qt. 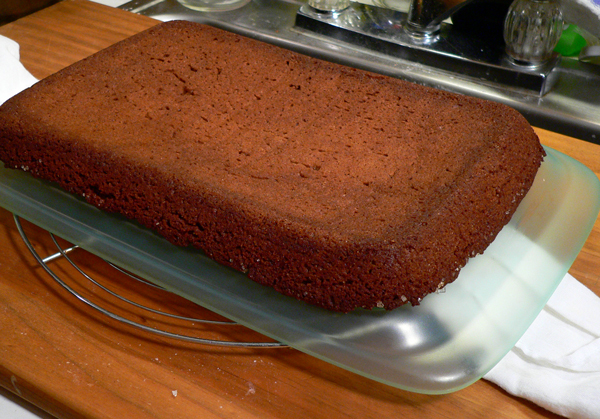 baking dish with lid, and for the Brownie Spatula. My special thanks to OXO for allowing me the opportunity to share these great products and this recipe with the Taste of Southern readers. I do hope you’ll try it and I look forward to reading your Comments below. 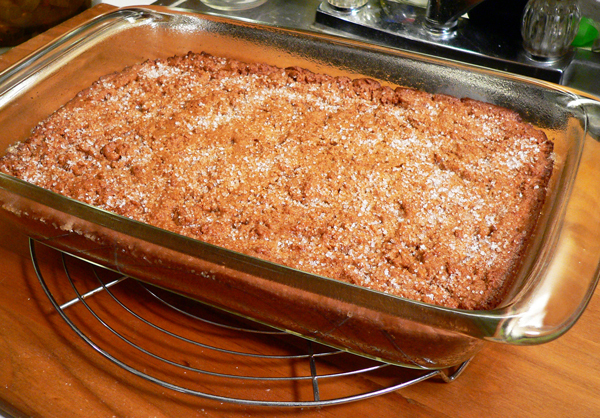 Thank you also to Dorie Greenspan for the great Mary’s Maine Bars recipe. Yield: Makes about 20 bars. 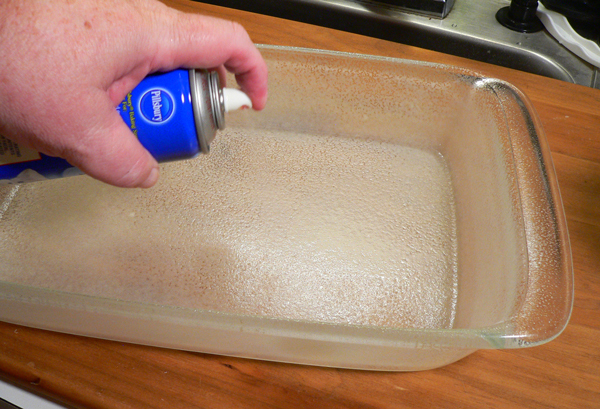 Generously butter a 9-x-13-inch baking pan or coat it with baking spray. Line it with a piece of parchment paper. Transfer the pan to a rack. After 10 minutes, run a blunt table knife around the edges of the pan, invert the Maine bars onto a rack, peel away the paper, turn it over onto another rack and let cool. When you’re ready, cut it into 20 bars (about 13/4 x 31/4 inches). Recipe courtesy of Dorie Greenspan and her “Dories Cookies” cookbook. Your Comments: Do you love cookies? Do you make them often? It will only take a minute or two for you to leave us a Comment in the section below. If you try our recipe, please come back and let me know how it turned out for you. Your comments could help convince someone else to try our recipes. Please know that all Comments are moderated. That just means that I personally read each and every one of them before they are approved for our family friendly home here on the Internet. Don’t be shy, take a couple of minutes and join in the fun. Subscribe To Our FREE Newsletter: Before you go, be sure to sign up for our FREE Newsletter. I try to send out a Newsletter each time we post a new recipe, or any time something else of importance is going on around Taste of Southern. I post a new recipe each Monday and follow that up with the Newsletter just to remind you of the new updates. It’s totally FREE and easy to subscribe with the box below. You’ll also find a signup box in the top right hand corner of each page of our site. And, should you ever for any reason at all decide that you would like to stop receiving our Newsletter, it’s even easier to opt out. I’ll be looking for the news that you have signed up. Thank you in advance and we look forward to seeing you here at Taste of Southern again… real soon. I love old fashioned gingerbread. These look good! Can’t wait to try these cookies. Just something about gingerbread that puts you in a jolly, holiday mood! I bake all the time, esp cookies and caramel rolls. Love your newsletter. What a wonderful way to make this gingerbread recipe using whole wheat flour! I love gingerbread when it’s a little chewy. Printing the recipe now. Than you so much. I love gingerbread! This recipe sounds really good. I found your blog while looking for pickle recipes. I very much appreciate your quest to adapt your mother’s sweet pickle recipe for today’s cucumbers. My grandmother made fantastic sweet pickles. I hope that I can sometime find a recipe that approximates her recipe. Love this recipe and your site with all the great pictures of the process. Love gingerbread this time of year. Thanks for the post, and I love the bakeware too. These look so good; will most surely try this wonderful recipe. I love gingerbread and molasses, so this will be a real treat. We all love gingerbread and and I especially like idea that these are bars. Bars are so much easier to make and am curious if these resemble hermits. Soon my house will be smelling wonderful soon. Those cookies look so good! I love gingerbread so I can’t wait to taste these. I’m making them as soon as I get some buttermilk! Thanks for the recipe. Gotta try this one! With the molasses we could use Southern Biscuit flour and claim this as a Carolina Treat.. Sorry Steve but neither my husband nor myself love gingerbread. But I have to admit these bars look delicious. By the way I love making cookies. Thank you for your great newsletters. There is definitely a change of weather here in Eastern North Carolina. Autumn is coming! Can’t wait to try these! Congrats on all your Ribbons! Miss working at the Extension office and seeing you! These sound delicious and fit right in with this wonderful time of year! Congratulations on winning the award for these and for all your canning awards. Your Mother would be extremely proud of you for carrying on her special traditions! I have no doubt you will master her pickle recipe also. I am about 6 weeks into physical therapy for shoulder surgery so I am not doing much cooking right now. I will make these before Thanksgiving though because the recipe is making me crave gingerbread. I am glad OXO is partnered with you. They have a great product and you make a good tester for them because you use the product, describe it nicely and you are very honest. That makes a good spokesperson! Thanks for the recipe and for your heartfelt stories. You always make me smile! I am really looking forward to making these. Some healthy ingredients and the fall tastes of gingerbread and spice cake…sounds so good! I love the bars! Growing up we had a little lady that lived next door to us that made cookies that tasted just the same!!! Thank you for taking me back to some great child memories!! I love your Newsletters, like from a longtime friend. I will be trying this recipe. Love the molasses!!! Am reminded of fall afternoons enjoying boxed gingersnaps and milk after school as a small child. Dobbins House Tavern, Gettysburg, PA, old fashioned dark gingerbread served warm with lemon sauce! I will be making these this weekend. I love all things gingerbread. Congratulations in your awards. God bless and keep cooking. Your recipes are great and I also enjoy your blog. Congratulations on your ribbons! I’m not fond of ginger but I love molasses. Will give this recipe a try. I Enjoy reading your newsletters. I’m so glad FALL is here, it’s a little cooler in Harrisburg, NC. I love gingerbread and anything with molasses! Can’t wait to try this. These look so good I can already smell them baking. Is it possible to use Sorghum molasses in these? I know that is not actual molasses but I have a big container & none of the other. Congrats on all the ribbons you won. Thanks for sharing one of Dorie’s recipes with us. Nom, nom, nom!! The whole family luvs ANYTHING w/ spices! This recipe looks simply delish!!! Made many dishes w/ ginger, must try this! Soon, especially since impending holidays. Being a brand – new subscriber, I enjoy your writings & accompanying, “updates” immensely! Please do not make it shorter! Your posts are the highlight of our wk.!!! I’m excited to try this recipe. Love molasses and gingerbread. I’m new to your website, and newsletter but glad I found you. Thanks for sharing. Love gingerbread. Looking forward to trying this out. I have all the ingredients on hand so will make this week to share with my Sunday School class. Thanks for sharing the recipe. I will bake these for my brother,he loves gingerbread no one else in the family does.Congrats on winning you’re ribbons.I love reading your news letters.THANKS Steve for sharing. Oh my my Steve! These bars/cookies remind me of something we baked in my Home Ed class back in the ’60s. I have looked for the recipe for years. I can’t wait to see if these taste like those bars. We also baked Gingerbread in that class. l have NEVER used a Gingerbread mix. Nothing compares to scratch made Gingerbread. The smell is as awesome as the taste. Thanks to you Steve for all the many recipes from you that l now serve on a regular basis. I do not care for the standard gingerbread taste, but I am going to try this recipe and cut back on the nutmeg and cloves a little. I think it may be something like my Grandma’s Molasses Bread she made in her cast-iron skillet. I have tried to make it before but without success. Let you know if it works. I do like gingerbread, but my oldest daughter loves it. I will have to try some of these bars for her. Thanks! I enjoy gingerbread and ginger cookies. These cookie bars look like they have a wonderful flavor. I’m not a fan of ginger in savory foods, just some sweet desserts. Congrats on all your ribbons from the fair. I have been a fan of OXO for a long time. We love the taste of gingerbread, and this recipe looks like a winner. Pinned. Thanks for sharing. This sounds absolutely delicious. 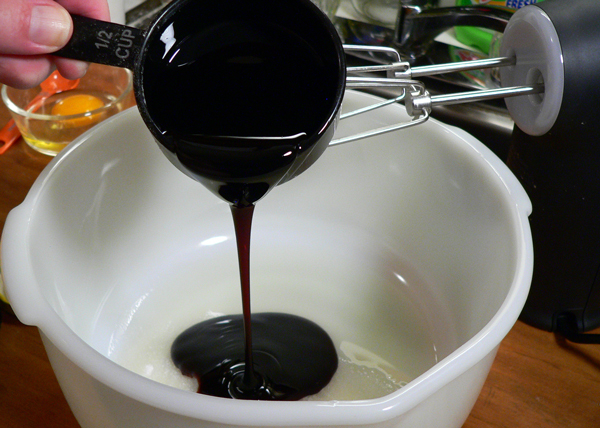 We’re big fans of molasses anything so I just printed the recipe and will try it this week. Thanks Steve and congratulations on your blue and red ribbons. Love the smell of baking gingerbread in the Fall! Wow, second place! That’s so cool. I don’t have any molasses at home but may have to buy some so I can make these! Congrats on all your ribbons – I’d say you made a “sweep” for sure! Hi Steve, Congratulations on your ribbon winnings! Although I’m not surprised, since every one of your recipes I’ve tried has been a winner at my house, and several are on my menu on a regular basis. 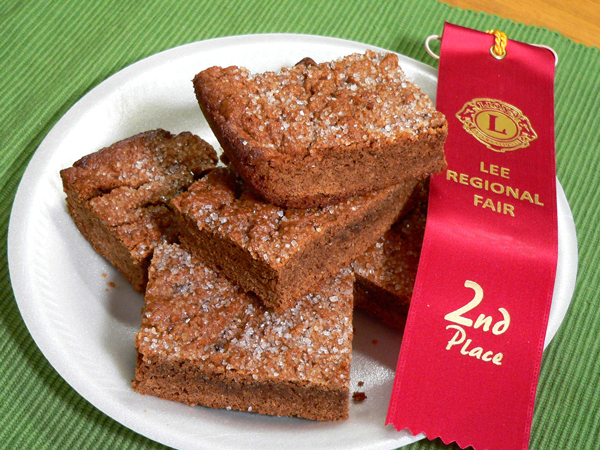 I love the taste of gingerbread, so it was a sweet surprise to see a plate of Mary’s Maine Bars in my inbox today. One of my favorite snacks as a kid was ginger snap cookies and milk, only now it’s coffee instead of milk. I’m looking forward to trying this winning recipe. I don’t have any molasses on hand to make them today, but I’ve already added it to my shopping list for my next trip to the grocery store. These look yummy. I’ll have to buy molasses and buttermilk, not something I keep on hand. Steve, I gave grin after grin to read about your ribbons.. I confess, a little jealous, however proud that you could do it. Can’t wait to hear about the second batch of your Mom’s pickle recipe. I’ve always loved gingerbread, especially with lemon sauce. Know this will be bringing beautiful aroma to my neighborhood soon!!!!! I love this recipe. I’m going to make it for Thanksgiving when I have children and grandchildren to eat it. I love to share my cooking with others. I’ve used many OXO items and find them well designed and time-saving. I’m especially intrigued by the mixer with a light. My failing eyesight would welcome this innovation. Thanks for sharing your recipe and congrats on the ribbons. I am new to your blog and website and enjoy both. I can’t wait to try this recipe as I love gingerbread, especially this time of year. Thanks, again! Can’t wait to try the recipe as soon as I pick up nutmeg. Great fall recipe. I won first place for my sausage casserole years ago. I love gingerbread bread and cookies both, and anything with molasses for that matter. Yesterday I made some baked beans from scratch with plenty of molasses, and were they ever good. I even found some uncured salt pork to use as a base. Must try these bars soon. Congratulations on all the ribbons at the fair Steve! I am not surprised as I think all your recipes are winners. I adore molasses cookies and those bars look great. I am going right now to make these for dessert tonight. UPDATE: It is a winner! I made this earlier today and just tasted it. OK, I couldn’t wait for dessert but anyway… We really like it. Its a forgiving recipe too. I used a gluten free almond based baking mix and its moist, tasty and looks just like the photo. 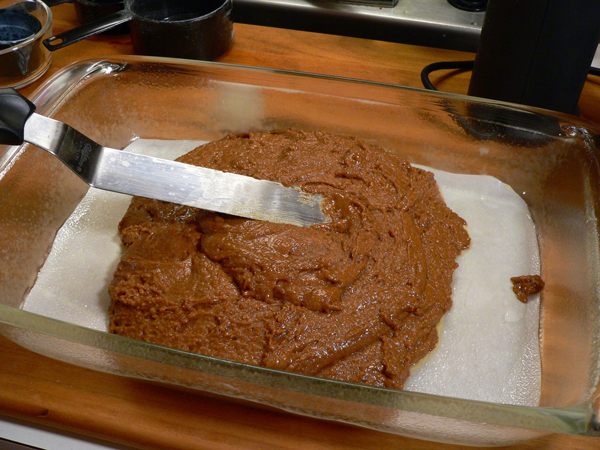 It has the taste of a molasses cookie/gingerbread but brownie texture. Much easier than baking cookies. Thanks for the recipe. Thanks for the recipe. I love ginger so intend to make these cookies as soon as I gather the ingredients. I also make your Mother’s biscuit recipe often. I appreciate all your efforts, as I don’t usually take the time as often as I should to tell you. This recipe brings back fond memories of watching old movies with Mama and having warm gingerbread with hot chocolate on cool autumn evenings. Thanks Steve! Thanks for the recipe. They look great although I thought it might be coarse sea salt sprinkled on top rather than sugar. I love ginger and I guess it might be the cloves that give it that peppery taste of ginger. I used to bake ginger snaps for my husband until I discovered that I couldn’t keep up with the demand. Now I just buy them. I also like all the OXO products I’ve purchased (although mostly kitchen tools) because they are comfortable to use and work so well. Congratulations on your big ribbon haul! I love the taste of good gingerbread. Love to smell it baking too. I have a favorite recipe, but I think I would like to try this one since it has whole wheat flour and I have some I need to use up. Now that it’s cooling off here, I’m ready to do some baking. Wonder how this would be with some raisins added to the batter? These cookies are perfect for cooler weather! Thanks! Congratulations on your ribbons for winning at the fair. The Mary’s Maine Bars looks really good. My granddaughter is six years old and she really likes to bake cookies: chocolate chip is her favorite. We spend a lot of time in the kitchen and I hope her love for baking will continue. I really enjoy your recipes and your newsletters. Thanks so much for sharing. Love that gingerbread taste! So yummy, and very easy to make! I love many kinds of cookies and bars but not gingerbread. These are beautiful though. Yummmmm! Can’t wait to try these, looove Gingerbread, thanks for all the great stories and recipes!I am sure glad for cooler temps too! Steve, I’m going to try this recipe. I like most cookies. Have a sweet tooth. This looks like it would make a great snack with a glass of cold milk. I like gingerbread and have some Dorie Greenspan cookbooks. Keep the great recipes coming. I am excited to make this. My family loves the taste of gingerbread. My family and I love gingerbread, I make gingerbread cookies at Christmas time, they are always well received. Send them to my Dad too. This year, I think I will be making these Mary’s Maine Bars, they look so good and easy to make. More substantial than a regular cookie. Look forward every week to your newsletter, and love Taste of Southern, recipes always interesting and have tried quite a few, especially pie crusts. I’m not usually a big fan of gingerbread, but these look pretty tasty. My son loves gingerbread, so I may have to give these a try. If I do, I’ll report back on how they turn out. 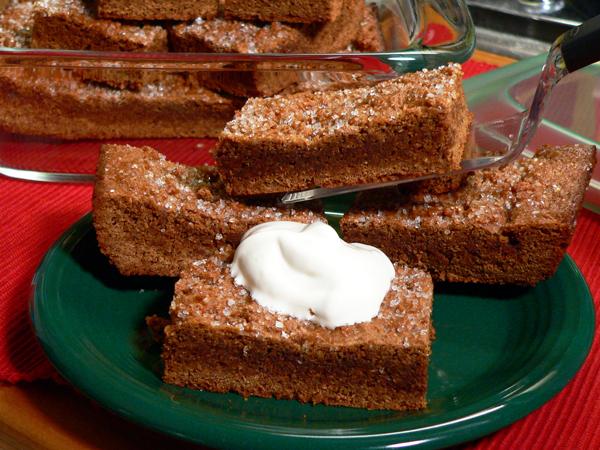 I really like gingerbread and will try making these bars soon. This is a blue ribbon recipe, thanks so much for sharing it. I will try this recipe soon. I love the taste of gingerbread, especially in the fall. It is very fitting and comforting this time of year. This recipe reminds me of a syrup cake I like to make with cane syrup. Love recipes that incorporate whole wheat flour and buttermilk. Cinnamon, nutmeg, cloves and molasses are definitely Fall flavors and I’m sure the combination is what gives thee bars/cookies the ginger flavor. Can’t wait to try them especially since my husband loves anything with ginger. Thank you for your wonderful recipes and clear instructions. Very interesting and no ginger. Something that I want to try. I am very new to your site and your newsletters. I do enjoy your process in presentation with photos step by step. I made your Mama’s Buttermilk Biscuits this past weekend along with your Apple Butter Recipe (4 pints) they were both oh so good. Thank you for sharing. Love, love this time of the year with gingerbread and pumpkin flavored things. thanks for the recipe. I do enjoy cookies I do bake them sometimes for my grandkids I’m sure I will try this recipe for them. 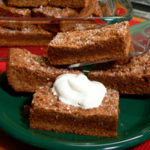 I am sure going to make these bars, know I will love them, as anything with a gingerbread taste would be delicious to me! Thanks for the recipe! 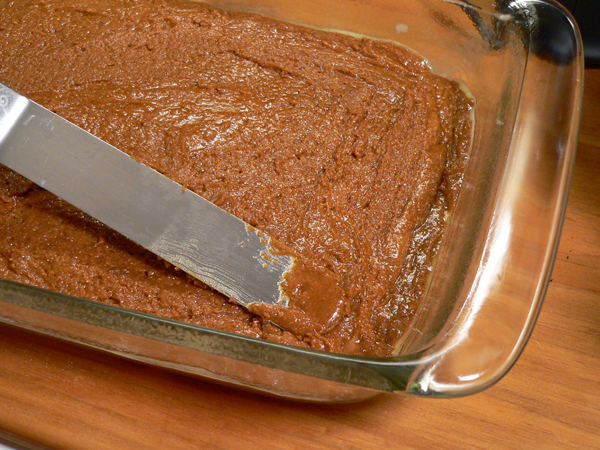 Always enjoy the flavor of gingerbread & am always tickled when I can find a good molasses recipe! Not really fond of gingerbread, but they look interesting. This looks good. I like your pretty step-by-step pictures. I love gingerbread, and I also love molasses chews. These look like a good cross between gingerbread cake and molasses chew cookies! I have to bake a batch today! 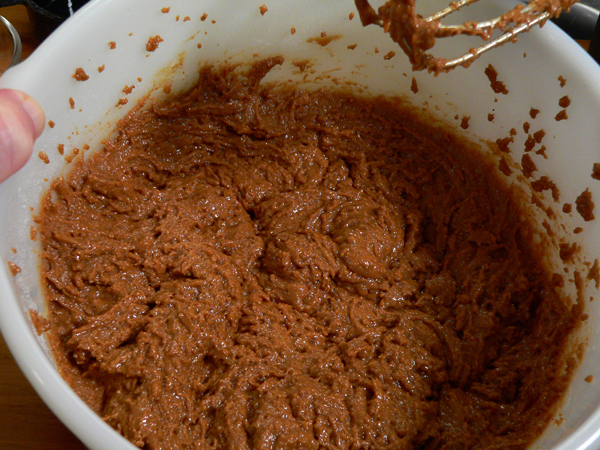 Any recipe that calls for molasses is great in my book!